Avril Barker Award Winner Announced! In our Congratulations Assembly on the last day before the half term, the new winner of the Avril Barker Award was announced - Toby in Year 4! Avril Barker worked at Brook Street School for many years and made a huge contribution to the school community. After her sad death last year, her family decided to donate an award to the school in her memory. Staff nominate a pupil who has shown great citizenship skills and also embodies the value we learn about each half term. This half term our value has been Resilience and no pupil shows this more than Toby in Y4 who, despite his many challenges over the years, is always focussed, keen to learn and helpful to others. 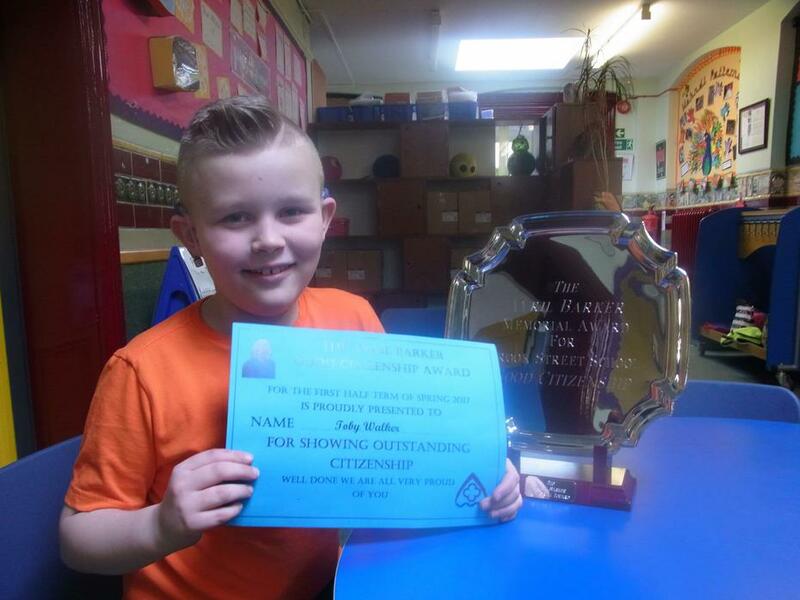 Well done Toby!